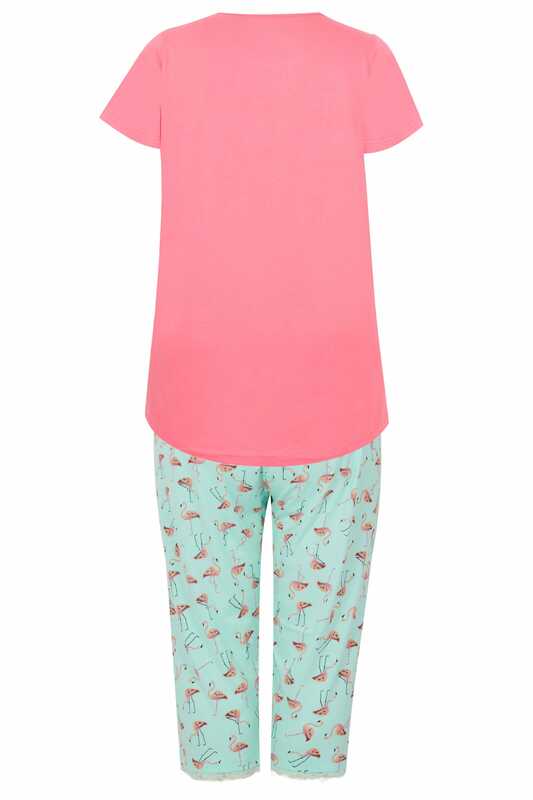 Bottoms inside leg length from (approx) 44.5cm/17.5"
Refresh your off-duty nightwear line-up with this pyjama set. Made entirely from cotton for comfort, the set features a pair of cropped bottoms with an elasticated waistband for a perfect fit. 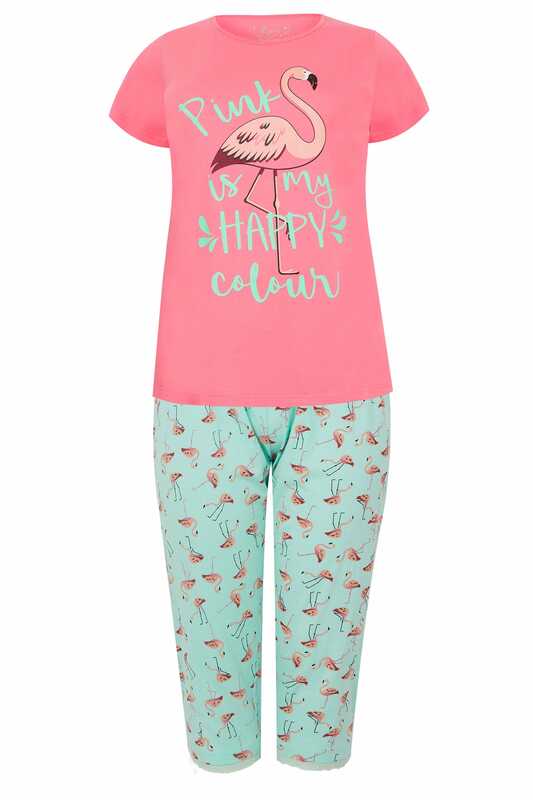 We are loving the slogan and flamingo print.